We would love to hear from you to book your Cincinnati getaway or extended stay. 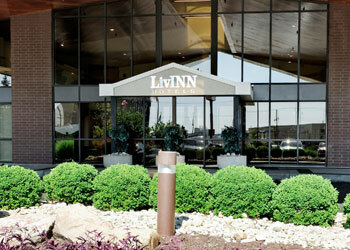 The LivINN Hotel Cincinnati / Sharonville Convention Center has all of the thoughtful services you need to feel at home. Settle into newly renovated guestrooms and suites and enjoy our complimentary hot breakfast, outdoor pool, fitness center and free Wi-Fi. You can make your reservation online or by phone, where our knowledgeable staff will be happy to assist you. We look forward to seeing you in Cincinnati.